The intended outcomes from pursuing these goals is to improve the lives of area seniors and their family and friends by offering better, safer and healthier living options. The affordability of the units will also offer these outcomes to a broader segment of the senior population. The architects employed for the project have extensive experience working with energy-efficient and green multi-unit projects, especially projects that fit the requirements of the state’s Housing Development Commission. Starting with these requirements, the architects worked with the project developers and a green, energy-efficiency team to arrive at strategies, practices, and products which met the stated goals for energy and water efficiency, improving health and safety. The architects produced initial plans and strategies for review cycles and final adoption with the development/ owner team and with green/energy professionals. A process of frequent review, testing, and inspection ensures the project continued to meet its stated goals for green and energy-efficiency certifications. Looking at the needs of area seniors and examining overall area trends, the developer determined that a single story, multi-building development consisting of 36 units would be well-received in the community. The development team secured a site directly adjacent to a pre-existing, popular senior center with a focus on housing reserved for seniors 55 and older. The configuration of the 6-plexes, plus a management office and a community space, worked well on the site. As the housing sites directly connect to the community center that is serving as a gathering space for area seniors, residents will have easy access to the multitude of services available at that facility as well. However, since that facility closes in the early evening, the resident community space is key to providing residents with computer space, storage, room for exercise equipment, and a warming kitchen. The single story design and easy access walk-in closet/storm shelter enhance safety and ease of living for area seniors. Universal design is built into units that can be modified to meet residents’ changing needs. The proximity to an award-winning senior facility that provides health care services, a café, free or low-cost meals, and educational programs designed for the senior population further enhances the quality of life in this development. It is also within a mile of medical and emergency services, and other town amenities are nearby. Recreational facilities, bike and walking trails are all close too, many within walking distance. Ample local opportunities for volunteering and community involvement, including seasonal festivals and activities, offer plenty of choices for an involved and active lifestyle for area seniors living in this new senior apartment project. 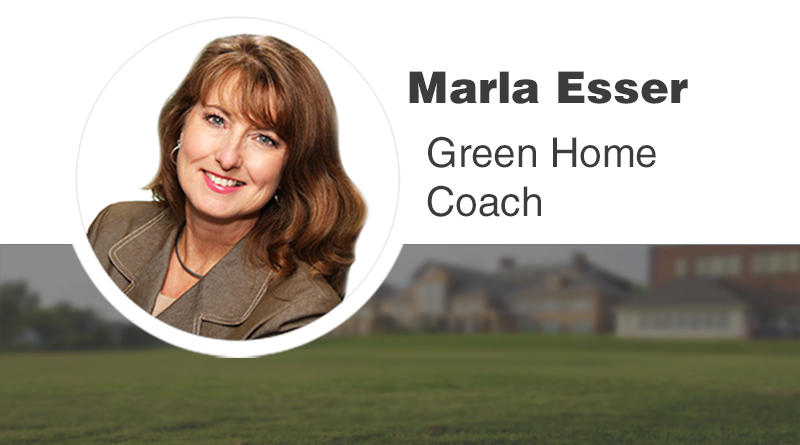 Marla Esser Cloos is a Green Home Coach, LEED AP, and MAHB Master CGP. She can be reached at marla@greenhomecoach.com.